Are you a lab supplier interested in marketing your life science products to researchers? In the current world of commerce, successful businesses know that the immediacy and accessibility of social media works best when combined with meeting customers face-to-face. This personalized quality of Biotechnology Calendar, Inc. life science events makes them the perfect opportunity to sell lab equipment. The quality of your customer is higher: You will be marketing life science products to a specialist in the field with buying power. Attendees visit trade shows to see what new products are available. Building brand awareness and creating relationships are the primary objectives when it comes to gaining and keeping new customers. In thinking about trade shows such as the life science events organized by Biotechnology Calendar, Inc., the value of group psychology cannot be underestimated. When researchers, technicians and teachers arrive at an event, they have the sense that they are participating in the scientific community. They are able to explore developments in other fields. They get to talk to lab suppliers working to sell lab equipment that may help them in the lab. This collective experience of progress is another reason that life science events are a profitable opportunity for companies marketing life science products. 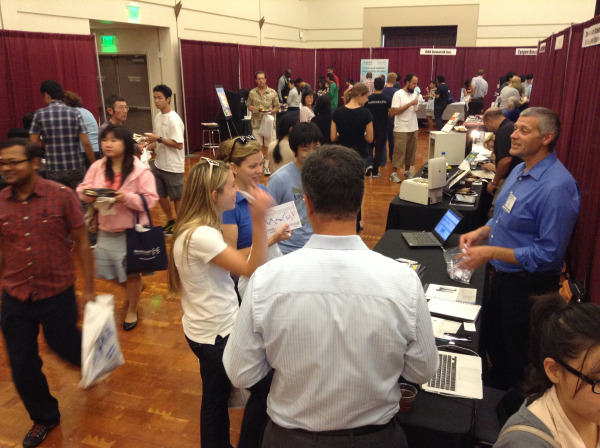 Biotechnology Calendar, Inc. has hosted quality university trade shows for over 20 years. Biotechnology Calendar, Inc. organizes life science events on over 50 campuses a year where major research projects are funded. Professors, lab managers, technicians and students at these events are eager to know what the latest lab technology looks like. Marketing life science products at the most prestigious universities helps to build an ongoing relationship between lab suppliers and research scientists. Our web presence and printed material build on the personal contacts you have established. The best way to represent a product or service is to talk directly with customers. Biotechnology Calendar, Inc. can build a tailored event package to insure your profitability.